Brew of The Day: SALE ALERT - SM Accessories at 50% Off this July! Hey Coffeeholics! 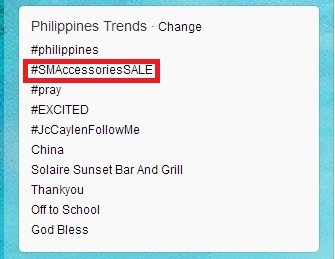 Its time to hit the SM Malls coz SM ACCESSORIES IS ON SALE! Its the SM ACCESSORIES SALE up to 50% off! 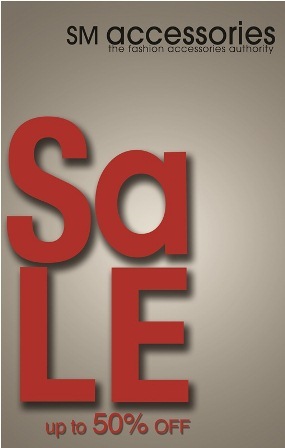 The nationwide sale launched yesterday! Its the talk of the town in Twitter World. For sure SM would be packed and everybody just loves sale.